All the signs are that – just as in Venezuela – people at the grassroots level in Nicaragua won't get fooled again, writes Tortilla Con Sal. Bolivia, Cuba, Nicaragua and Venezuela are all targets of the U.S. government because they challenge control of Latin America and the Caribbean by Western corporate elites and their local allies. Despite the relentless psychological warfare campaign to discredit them, the governments of Bolivia, Cuba, Nicaragua and Venezuela defend their peoples' fundamental democratic rights to peaceful economic development focused on human needs rather than corporate profit. This is especially important to understand in the case of Nicaragua. There, the government has democratized the economy to the point where the cooperative, associative and family-based small- and micro-business sectors generate 70 percent of employment, contributing over 50 percent of GDP. In their different ways, these four countries – all members of the Bolivarian Alliance of the Americas (ALBA) – have developed viable economic models directly opposed to Western corporate monopoly finance capitalism. They all face illegal actions by the U.S. government and its allies aimed at destabilizing – and, if possible, overthrowing – their legitimate governments. They all promote diverse models of genuine political and economic democracy for their peoples. Theirs is a common struggle against the U.S. and European imperial elites, whose governments are desperate to brake their own accelerating decline relative to China, Russia and other majority world countries. While the endless war on Venezuela aims at controlling the country's enormous oil and mineral resources, Nicaragua also has significant natural resources. It has Central America's most abundant water resources, well over 60 percent of Central America's natural eco-systems and also around seven to 10 percent of the world's biodiversity. 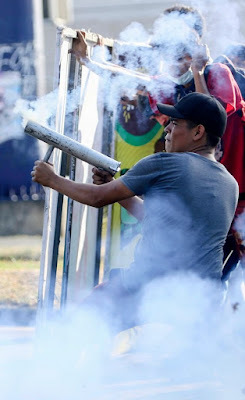 The minority opposition – led by the private business, media and NGO sectors in both Venezuela and Nicaragua – have consistently failed electorally and politically, resorting to insurrectional violence aimed at regime change, rejected by the countries' majorities. The political opposition is deeply divided in both countries, incapable of offering the electorate a viable inclusive program of sustainable national human development that meets everyone's needs in every sphere of civil, political, economic, social and cultural life. Differences between the two countries result directly from their different geography and economic structure. Venezuela was able to decide to leave the Organization of American States because its status as a supplier of oil and mineral resources give it sufficient autonomy. Nicaragua, more dependent on agricultural and commercial trade with regional partners, has chosen not to abandon the OAS. That decision may well be partly in order to maintain the number of OAS member countries resisting pressure to legitimize the illegal U.S. war on Venezuela. But Nicaragua's government also thinks maintaining dialogue with this North American-dominated forum will help disarm potentially strongly aggressive measures from the U.S. government against Nicaragua's vulnerable economy. That is also probably why Nicaragua remains a faithful ally of Taiwan, while U.S. client states such as Costa Rica and Panama have abandoned Taiwan in favor of the People's Republic of China, a key investment and trading ally of Venezuela. However, its loyalty to Taiwan has not prevented Nicaragua from working with China to develop the proposal for a new inter-oceanic canal to complement the Panama Canal by expanding shipping capacity across the Central American isthmus. Nicaragua also maintains excellent commercial and development cooperation relations with South Korea and Japan, as well as various Arab nations, as well as Iran. Venezuela and Nicaragua share this eclectic approach to international relations. Both have very important trade and investment relations with Russia and are developing relations with India. 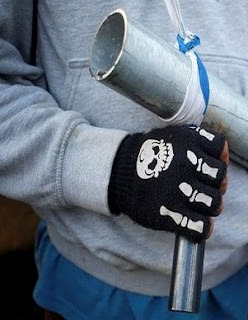 In effect, the ALBA countries form a modern-day Popular Front. Regionally, they resist the determination of the region's fascist corporate elites to seize or keep power and subordinate their countries' economies to North American and European corporate interests. Globally, they defend the vision of a multi-polar world based on solidarity and international law against repeated criminal imperialist economic and military aggression from the United States and its allies. Nicaragua is under attack now because it is a vital component of that regional Popular Front, both for strong political and economic reasons and, too, for deep historical and cultural reasons. After five years of unprecedented siege, Venezuela's President Nicolas Maduro has again defeated the U.S. government and its allies, decisively winning the May 20 elections. Now the war on Venezuela will intensify even more: economically, diplomatically and militarily. Similarly, U.S. government efforts to overthrow Nicaragua's elected government will also fail. In what amounts to a war of attrition, President Ortega and his government team are systematically dismantling the illegitimate pretensions of the minority opposition's makeshift coalition, despite cynical manipulation by the mediating Episcopal Conference trying to gerrymander the National Dialogue for Peace in the opposition's favor. The Inter American Commission for Human Rights has acknowledged that the deaths and injuries mentioned in its preliminary report have yet to be investigated. As the facts come out, a truer picture will emerge confirming that most of the deaths and injuries have been of government supporters or bystanders caught up in the violence. For example, testimony from one of the protesters unable to square events with his conscience alleges that the two students killed on April 20 in Esteli were shot by paid opposition thugs. Similar testimonies will confirm that the violence in Nicaragua was deliberately instigated by the opposition – exploiting genuine protest – to discredit the government unjustly, just as in Venezuela. "The oligarchy used you to overthrow Somoza. Now they have used us to overthrow you." All the signs are that – just as in Venezuela – people at the grassroots level in Nicaragua won't get fooled again. Tortilla con Sal is an anti-imperialist collective based in Nicaragua producing information in various media on national, regional and international affairs. In Nicaragua, we work closely with grass roots community organizations and cooperatives. We strongly support the policies of sovereign national development and regional integration based on peace and solidarity promoted by the member countries of ALBA.